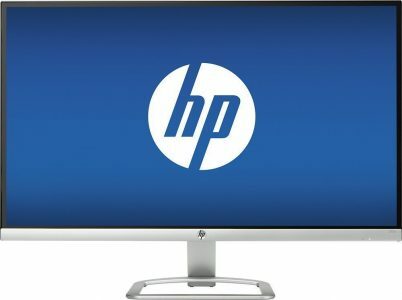 Best Buy has the HP 27es 27" 1080p LED LCD Monitor Sale, for $149.99 with free shipping. Tax in most areas. Sells for $213+tax New at amazon. Rated 4.7 out of 5. This is an Energy Star certified energy-efficient LED monitor that offers 1080p HD resolution, includes VGA, 2 HDMI, has fast 5ms on/off response time and a 90 day warranty.